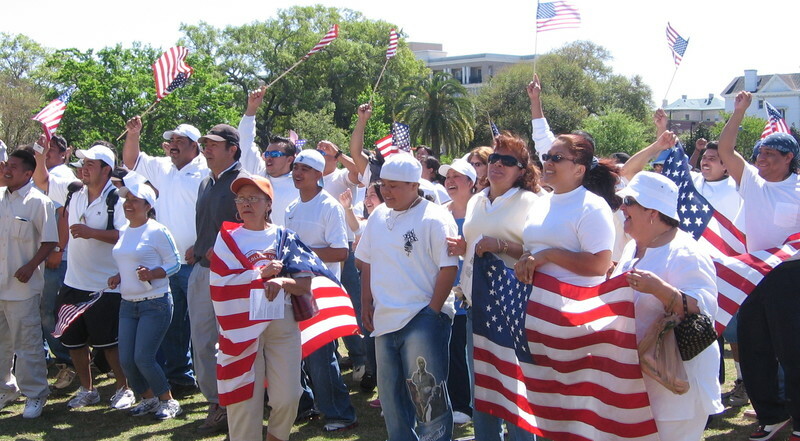 Immigration Reform Rally, photograph by Marcela Rabens, Charleston, South Carolina, April 10, 2006. In early 2006, hundreds of thousands of U.S. citizens and immigrants across the country marched to demand comprehensive immigration reform. Four thousand people congregated in Marion Square in Charleston, South Carolina. It was the largest Latino-led demonstration in the region's history. In June 2008, South Carolina Governor Mark Sanford signed the South Carolina Illegal Immigration Reform Act. This state law was considered among the most punishing immigration bills in the nation. New employment verification standards were among the first features of the bill to be implemented. Three years later, Governor Nikki Haley signed SB 20, which requires police to check the immigration status of people they lawfully stop and suspect of being in the country illegally. The new law raised concerns among Latinos, civil libertarians, and immigrant rights advocates. South Carolina law enforcement officials disagreed on the bill. North Charleston Police Chief Jon Zumalt, for instance, complained that the law would place new burdens on police departments and undermine the trust that they had worked hard to establish with Latino residents. Charleston County Sheriff Al Cannon, on the other hand, embraced the new law and boasted of his department's aggressive efforts to deport undocumented immigrants. The law was immediately challenged in court by the American Civil Liberties Union and a coalition of civil rights organizations and concerned citizens. Participants in the Unity and Peace Rally, photograph by Marcela Rabens, Charleston, South Carolina, December 19, 2011. 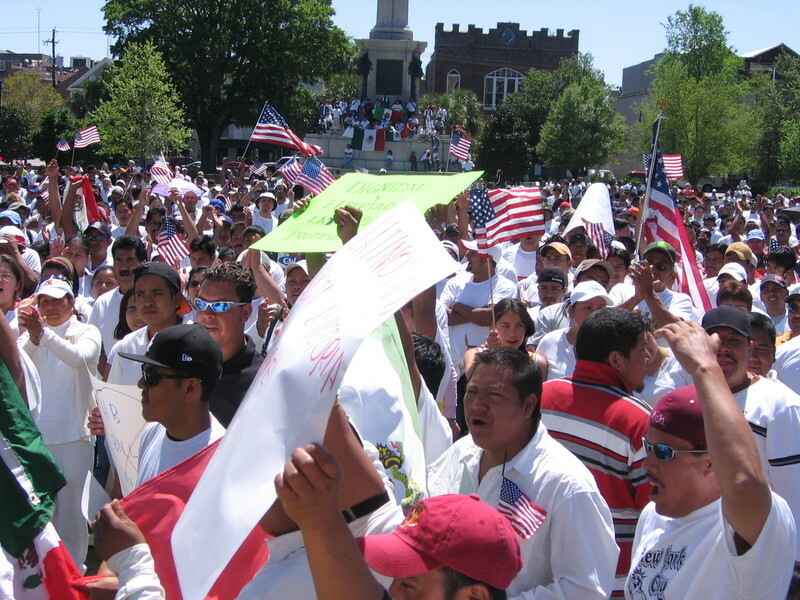 The South Carolina Immigration Coalition, calling on the U.S. District Court to overturn SB 20, organized a rally in opposition to SB 20 to take place during the hearing at the U.S. District Courthouse in Charleston, South Carolina. A 2014 court ruling forced the State to scale back its enforcement of SB 20, but key provisions of the 2008 immigration bill remain intact, including measures that target undocumented workers and their employers, college students, and those seeking medical assistance. In the weeks preceding passage of the 2008 and 2011 bills, supporters fouled the radio airwaves with angry attacks directed at immigrants and Latinos more generally. Latino activists and their allies rallied in opposition to the bills, urging the passage of federal comprehensive reforms that recognize the economic and cultural contributions of both documented and undocumented immigrants and provide pathways to citizenship. For many Latinos in South Carolina, the passage of draconian immigration reforms served as a wakeup call. New community leaders have emerged, some of whom are aggressive and outspoken in their defense of civil liberties and human rights. They have, moreover, found key allies among progressive lawyers and political activists. The effectiveness of these pro-reform forces remains to be seen. A rising wave of anti-immigrant sentiment—swollen by President Donald J. Trump’s promises of mass deportations and the construction of a wall along the US-Mexican border—has not yet crested as of this writing. The following interviews explore how South Carolina’s Latinos responded to the passage of the 2008 and 2011 bills. 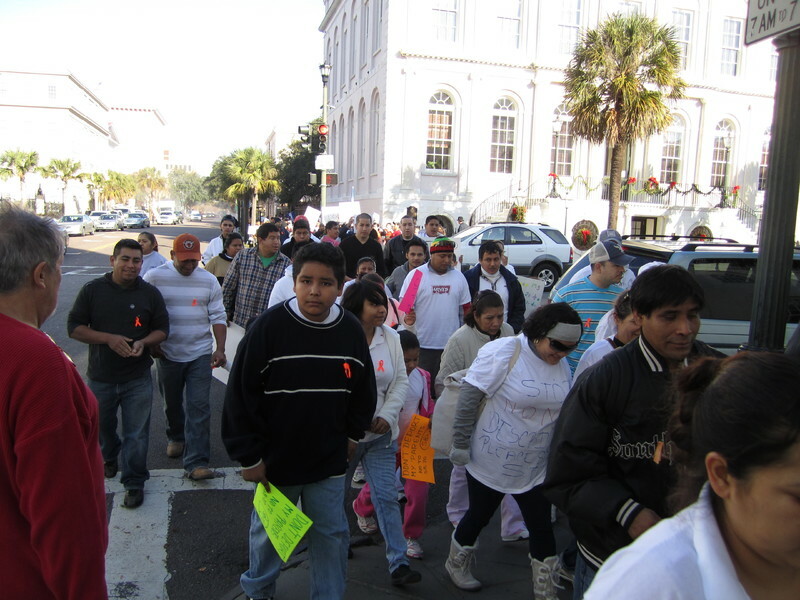 Immigration Reform Rally, photograph by Marcela Rabens, Charleston, South Carolina, April 10, 2006.